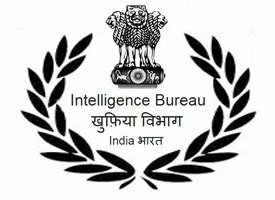 Assistant (Motor Transport), General Central Service, Group-‘C’ (Non-Gazetted, Non-Ministerial) in the Intelligence Bureau, (Ministry of Home Affairs), Government of India. below and satisfy themselves about their suitability in age limit, essential qualifications, etc for the post before applying. Candidates fulfilling eligibility criteria of the post, as mentioned below, may apply ONLINE through website www.mha.nic.in only.  Upper age limit is relaxable for departmental candidates’ upto 40 years in accordance with the instructions in accordance with the instructions or orders issued by the Central Government from time to time. separated from their husbands and not remarried. for the said SIB only. candidates who apply against such vacancies would however be exempted from payment of fee. (d) SIB, once opted, will NOT be changed under any circumstances. (e) Applications received from a candidate for more than one SIB would be rejected. (f) The above mentioned vacancies are not reserved for any category of physically handicapped (HH, OH, VH) persons. Hence, they NEED NOT apply. (g) The number of vacancies is provisional and liable to change. (h) The posts are temporary but are likely to continue indefinitely. The eligible candidates will be called for the skill test (driving and motor mechanism), the date, place and time of which would be intimated to the candidates at their email ID provided at the time on online registration. The candidates would also have an option to download their admit cards if they do not receive it by email. Based on the performance of the candidates in the skill test (driving and motor mechanism), they will be selected subject to successful completion of their Character and Antecedent verification followed by medical examination. The skill test need not necessarily be conducted at the centre opted and may be conducted at a centre by clubbing candidates of nearby centres. However, the candidate would be considered against the centre opted by him at the time on online registration. 5. HOW TO APPLY: (i) Applications should be submitted online only by logging on to the website www.mha.nic.in. done prior to Jul 16, 2016 and after Aug 6, 2016 will not be entertained. may result in cancellation of his/her applications altogether. photograph / signature are correct. other folder. They may also check the spam folder for mails sent from the helpdesk email i.e. helpdesk.bharti@nic.in from time to time. to this, the candidate will also have an option to download the same from the website of MHA. information related to the examination. will also be hosted on the website www.mha.nic.in from time to time. (xiii) Applicants are also advised to check their email (inbox as well as spam folder) from time to time for updates related to the recruitment process. stages of examination and any variation in signature could render them unfit for the examination. have one year experience of driving motor car as on closing date. details at the time of skill test could render the candidate ineligible. permitted to undertake skill test. Rs. 50/- (Rupees Fifty only). Only male candidates belonging to General and OBC category are required to pay the fee. All SC/ST and female candidates are exempted from payment of examination fee. 6.1 MODE OF PAYMENT: Applicants (who are required to pay the fee) are to pay the fee by cash deposit at any branch of State Bank of India using the Challan form (available in part-II of the online application). The applicant will be required to take a printout of Challan form (wherein name of the applicant, his/her Registration number, etc. will be printed) and deposit the fee in cash in any branch of State Bank of India after a gap of one working day. A counterfoil of this Challan would be given back to the candidate by the bank, indicating the transaction ID, which may be retained by the candidates. 6.2 Those candidates who apply on the closing date (Aug 6, 2016) can deposit the fees in any State Bank of India branch on Aug 8 & 9, 2016. 7: CLOSING DATE: Aug 6, 2016 (till 2359 hours).